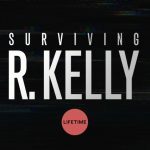 “The Surviving R. Kellyteamhas done what every journalist aspires to do: tell a compelling story that prompts change and that also speaks to a broader issue which needs to be addressed. Their documentary is the very definition of work we want to recognize with our President’s Award for Impact on Media,” said Press Club President Chris Palmeri, Bureau Chief at Bloomberg Los Angeles. In addition to honoring the Surviving R. Kellyteam, Jim Hill, sports anchor at CBS2, Los Angeles will receive the Joseph M Quinn for Lifetime Achievement. CNN Senior International Correspondent Nima Elbagir will be bestowed the Daniel Pearl Award for Courage and Integrity in Journalism and the Bill Rosendahl Public Service Awardwill be presented to Henry Winkler. For more information about this event or to sponsor, advertise or buy tickets go to www.LApressclub.org or contact Executive Director Diana Ljungaeus at 310.210.1860 or email Diana-AT-LApressclub.org.